Play fantasy football all season long with FanDuel. Pick a new team every week, so you're never sidelined by injuries, bye weeks, or draft busts. There’s something for every fan. Play against your friends or against everyone, with no season-long commitment. Build a new team for every contest. Every player has a price, just choose the players you want while staying under the salary cap. Score fantasy points for your players’ real-world performances. Some contests have thousands of winners. Friends Mode is our take on traditional fantasy football. Play with your friends for weekly and season-long cash prizes — and since you pick a new team every week there’s no coordinating a draft time, no season-killing injuries, and no draft busts. Pick a new team every week and play against your friends all season. 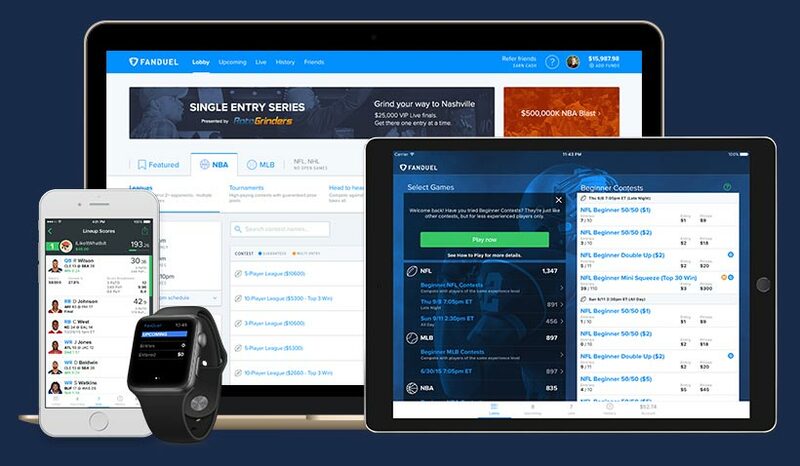 Play fantasy football against other FanDuel rookies — no experienced players allowed. Smaller, 5-man rosters make it easy to pick your team and compete for cash on the fly. FanDuel is more than fantasy football. We also have NBA, MLB, NHL, EPL, WNBA, and PGA contests. I love sports. FanDuel takes it to the next level and makes the games we love even more exciting. 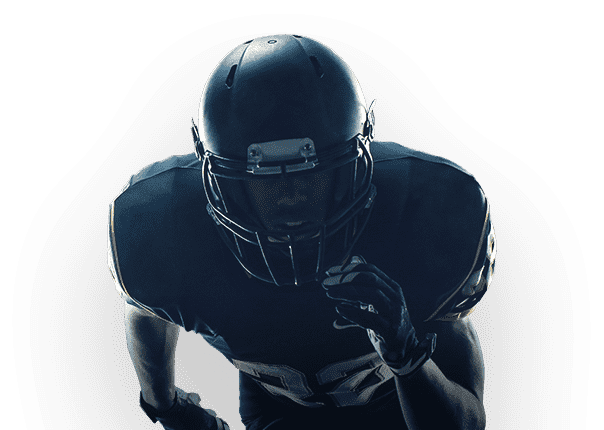 "Every Sunday is Super Bowl Sunday"
"The numbers of those participating are exploding"
"Why This Fantasy Sports Company Is a Dream Come True for Fans"
Check out this week's fantasy football player projections from our friends at numberFire. Download the FREE FanDuel app to play anywhere you want, on any device. 1-Week Fantasy Football. Play for cash or fun. How do I pick my players? It’s easy! Every player has a specific salary that’s based on their expected performance. Players projected to have more points have higher salaries. Your job is to fill all 9 positions on our fantasy football roster — QB, RB, RB, WR, WR, WR, TE, D, K — while staying under the total salary cap for your team. And you can’t pick more than 4 players from the same NFL team, so choose wisely. To learn more about picking your players, visit our Fantasy Football Training Camp. Scoring is a lot like the traditional fantasy football you’re used to. We use a “half PPR” format, meaning you get 0.5 points for every reception. To learn all the basics of playing fantasy football on FanDuel, visit our Fantasy Football Training Camp. And for a full breakdown of every fantasy sport’s scoring, see our Rules Page. Can I play FanDuel in my state? You can play paid contests in every state except AL, AZ, ID, HI, IA, LA, MT, NV, TX, and WA. In those states with restrictions, you can still play in any free-to-enter fantasy football contest. To help bring fantasy football regulation to your state, visit FantasyForAll.com.